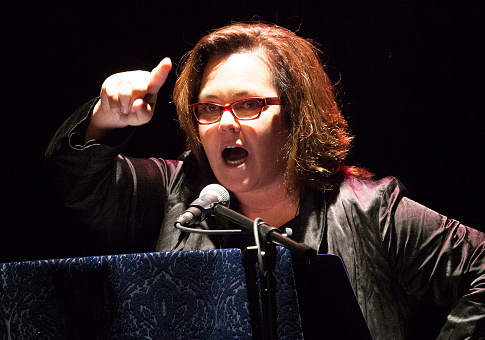 Liberal comedian Rosie O'Donnell regularly has made donations to the campaigns of Democratic candidates that exceed the legal limit an individual can make to a federal campaign. The maximum amount anyone may give to a federal campaign is $2,700. In certain cases, that amount may be given to a candidate multiple by a given individual depending on the election they are running in. For instance, an individual could donate $2,700 each in the case of a candidate's primary, general election, and runoff campaign. O'Donnell blamed the campaigns she has donated to for initially accepting illegal donations and said they should refund her the difference, according to an email she sent to the New York Post. "If 2700 is the cut off — [candidates] should refund the money," O'Donnell said. "I don’t look to see who I can donate most to … I just donate assuming they do not accept what is over the limit." "My anxiety is quelled by donating to those opposing trump [and] his agenda — especially at night — when most of these were placed," O'Donnell said. O'Donnell donated $4,700 to Sen. Doug Jones (D., Ala.) in last year's special election, $3,600 to Rep. Conor Lamb (D., Pa.) in a special election this year, and various amounts to three additional candidates. Overall, her over-the-limit donations have combined to $5,400, according to the Post analysis. And Omar Vaid, a little-known congressional candidate in Staten Island and Brooklyn, reported $3,450 in primary donations from O’Donnell, filings show. Vaid’s finance director said the campaign "inadvertently designated" some of the money to the "wrong election" and would amend its filings. O'Donnell said she has also donated to actress and activist Cynthia Nixon, who is running for governor of New York. O'Donnell has often attacked Republican lawmakers and is a longtime foe of President Donald Trump, frequently having engaged in quarrels with him on television and Twitter. This entry was posted in Politics and tagged Campaign Finance, Democrats, Rosie O'Donnell. Bookmark the permalink.